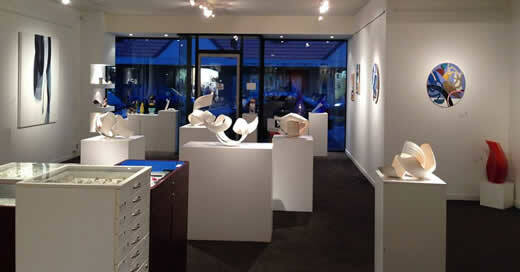 Established in 2002, gallery thirty three is Wanaka's only contemporary art gallery. We exhibit established and emerging New Zealand and Australian artists who work in a range of media including painting, sculpture, glass, ceramics and jewellery. gallery thirty three has a wide range of unique, contemporary, handmade engagement and wedding rings crafted by talented New Zealand jewellers. 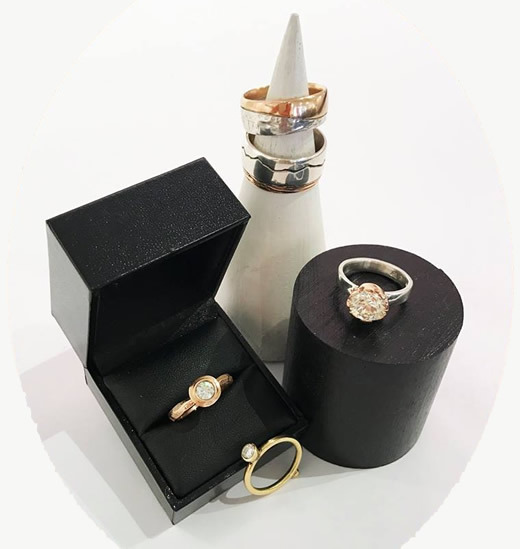 We can also arrange custom-made, bespoke creations commissioned via one of our jewellers, enabling you to create the perfect piece to complement you and your loved one as well as your budget and lifestyle. gallery thirty three can also assist wedding parties to find the finishing touches for their big day, including earrings, necklaces and bracelets for the bride and bridal party as well as cufflinks for the men. We pride ourselves on our unique collection of high-quality, one-of-a-kind, timeless jewellery, designed and crafted with the expert workmanship of trained jewellers here in New Zealand. Our dedicated and professional art and jewellery consultants can advise and assist you in finding the right jewellery for your wedding day. 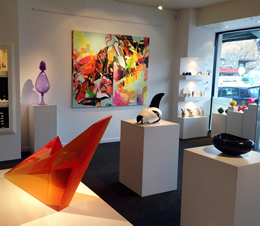 Please contact the team at gallery thirty three today for more information. A home is not just about the pots, pans and platters, it is also about the art that enriches your home, an investment in the present and future which over time becomes a cherished heirloom. For the modern couple looking for something special to remember their wedding day by, gallery thirty three offers an art registry as an exciting and unique way to start or add to an art collection. Through our registry service, your guests can either contribute to your choice of artwork or towards an open registry where you can choose your artwork at a later date. Art is personal, unique and timeless and is the gift that keeps on giving. Our dedicated and professional art consultants can advise and assist you in finding the right artwork that resonates with you as a couple. Please contact the team at gallery thirty three today to get started or for more information.